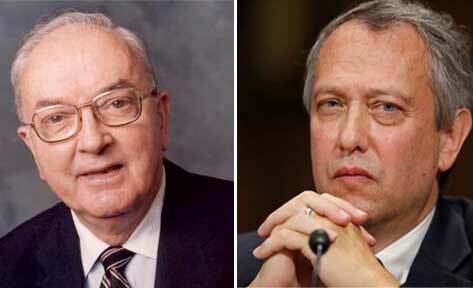 If you’re looking for a hopeful sign about modern North Carolina, here’s a small one to buoy your spirits on a holiday week: Fewer and fewer North Carolinians have any idea who Jesse Helms was. The trend has been evident to me in recent years as I’ve traveled the state giving talks about policy and politics. Each time I bring up Helms’ name and the mostly toxic legacy he constructed during three decades in the U.S. Senate, I get a growing number of blank stares – even from journalists and academics. Voters under 35 seem to be almost universally ignorant or, at best, only vaguely aware, of who Helms was and what he stood for. Of course, on one level, this lack of awareness is a bit troubling. After all, regardless of one’s feelings about Helms’ politics, the man often referred to by the moniker “Senator ‘No’” was a formidable and influential figure in American politics during the second half of the 20th Century. His message may have almost always been one of reaction (with heavy doses of racism and homophobia frequently mixed in), but there’s no denying that he was a skilled communicator who connected with large numbers of people. He could also be personally kind and his Senate staff was famous for its skill in cutting through federal government bureaucracy on behalf of constituents. The happy side to this general societal amnesia about Helms, of course, is that it confirms what his critics so often said during his lifetime – namely, that he was a spokesperson for an archaic, obsolete and, ultimately, doomed belief system. To the extent that the memory of him is receding at a rapid rate in the rear view mirror, it’s hard not to see this as a positive – much as it is with respect to the shrinking historical profiles of, say, Strom Thurmond, Joseph McCarthy or Spiro Agnew. Sadly, however, as it is these days with a number of far right icons of days gone by, there remain acolytes and admirers determined to keep Helms’ flickering and sulfurous flame alive. The most visible manifestation of this phenomenon right now can be seen in the stubborn right-wing crusade to secure a lifetime appointment as a federal judge for longtime Helms movement consigliere, Thomas Farr. Farr, who was first nominated for a vacant U.S. District Court judgeship in North Carolina’s Eastern District more than a decade ago by President George W. Bush, but never confirmed thanks to passionate opposition from a number of caring and thinking people, had his nomination resurrected last year by President Trump. The nomination expired at the end of 2017, but was resubmitted by Trump earlier this year and now, thanks to recent moves by Senate Majority Leader Mitch McConnell to limit Senate floor debate, stands on the precipice of final approval. As has been reported in this space on numerous previous occasions, Farr’s elevation to the bench would be a dreadful setback for the cause of human equality. For more than four decades, Farr has dedicated his legal career to the defense of far right causes long championed by the Helms machine – including limiting the rights of workers, promoting school re-segregation, and suppressing the votes of people of color. He played a key role in crafting North Carolina’s infamous 2013 “monster voting law” and, to make matters worse, there is compelling evidence that he was untruthful during Senate testimony about some of these past activities. Even among other dangerous Trump nominees, Thomas Farr stands out for his decades-long crusade to disenfranchise African-Americans. He learned how to intimidate Black voters from segregationist former Senator Jesse Helms and helped turn North Carolina into ground zero for voter suppression.